Fallone’s Charity Car Wash is a great opportunity for us to raise money for Breast Cancer Research and a host of other charities. 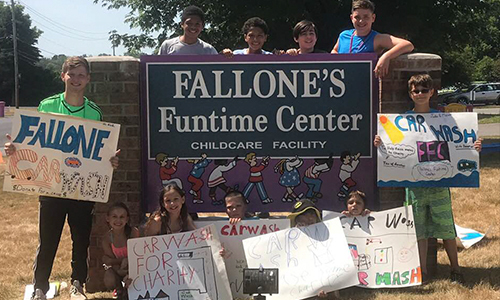 This is an amazing experience for children because it allows them to organize an event, and understand the process of creating a charity that collects funds for a good cause. 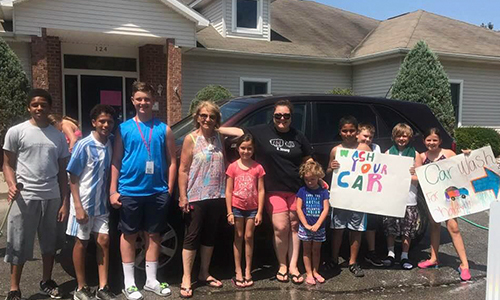 Each child plays a role in helping the car wash run smoothly and in achieving the charity goal!